The third annual Aggies Leading the Way! 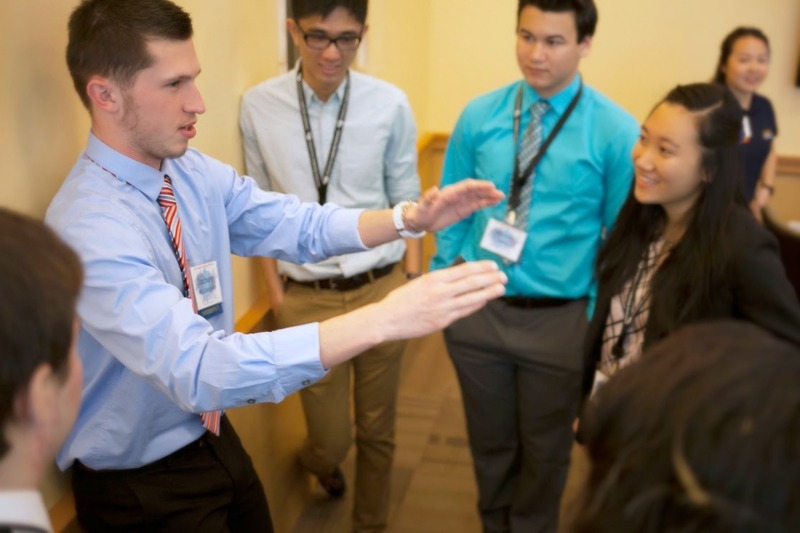 Undergraduate Leadership Conference was held on February 20, 2016. Sandy Holman has presented to thousands of youth and adults on a variety of topics such as the achievement gap, early childhood education, literacy, resiliency, addressing the whole child and character education. 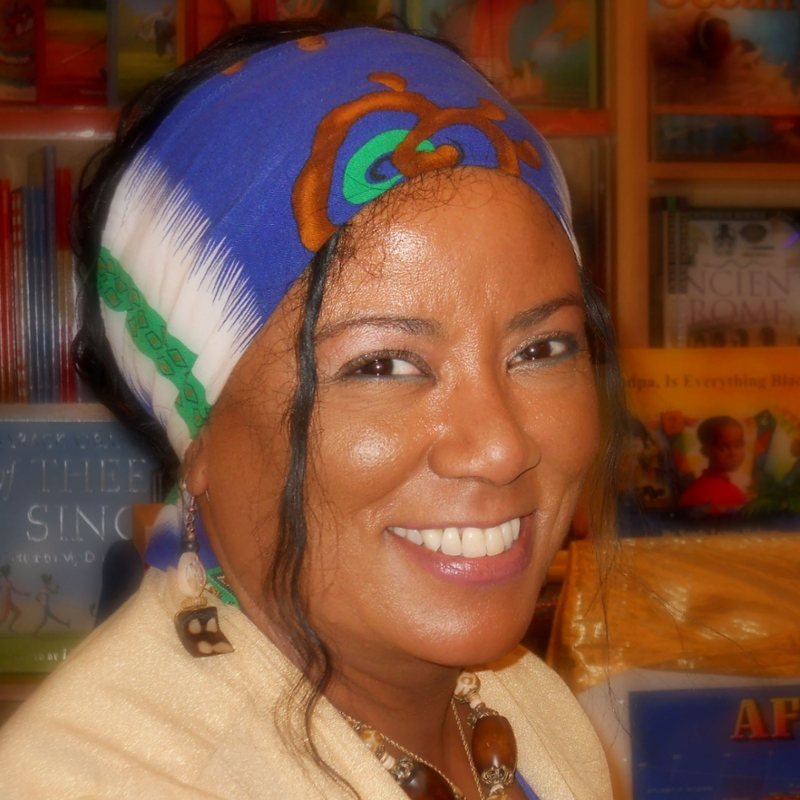 She has focused special attention on the importance of culturally relevant and responsive services and materials as well as increasing cultural competency in educational and service oriented settings. 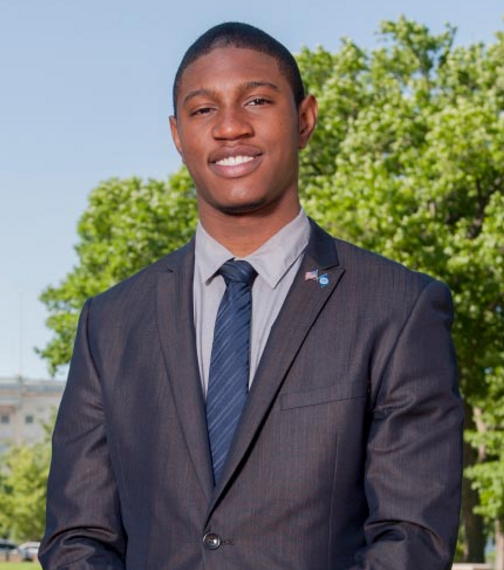 Kamaal Thomas is a 2012 recipient of the prestigious Bill Gates Millennium Scholarship. He is also a Gilman International Scholar and Princeton University Public Policy & International Affairs Fellow. At 21 years old, he is currently a senior attending the University of California-Davis where he is majoring in International Relations and serves as an undergraduate student Senator. During his junior year, he spent 12 months conducting research at the University of Hong Kong (HKU) and was the starting Shooting Guard for HKU Men's Basketball Team. After graduation, he intends to pursue a career with the U.S. Department of Homeland Security to work on cybersecurity issues and U.S.-China relations. He is a youth mentor for Brother II Brother, a Black male youth mentoring organization located in Southern California, and serves as an Alumni Representative for the Davis Washington Program, and is the Student Ambassador for President Obama's 100,000 Strong Initiative: an effort to increase the number of Americans learning and studying in China. On his spare time, he is a guest speaker on LA Talk Radio and gives motivational speeches on a range of topics from police brutality, Black educational achievement, reducing inner-city gang violence, to redefining Blackness at home and abroad, and cybersecurity policy. Session 1 workshops focused on helping students identify their individual passion and how passions can be shaped into a larger purpose. Recognizing that individual passion can be applied in many areas of life, Session 1 workshops will offer opportunities for students to explore what drives them and, most importantly, how to turn that drive into action. What color is your cape? By illustrating your super powers, through your character strengths, you will enhance opportunities. This workshop is designed to help students explore what drives them and, most importantly, learn how to turn that drive into action. Participants will be encouraged to reevaluate personal values and attributes and discover how to create effective educational experiences by reflecting on the challenges and choices before them. Start your adventure in destroying your kryptonite and discovering your super powers in a highly interactive, group-based learning environment! This workshop focuses on the components of personal values, motivation, and goals and how they are all interconnected with one another. Some of the topics we will be covering include: short term and long term goals, internal locus of control, your core values, and most importantly PLAY-DOH! You will be making a figure out of Play-Doh to represent who you are as a person, which will be applied to helping you find your leadership style. This fun, interactive, and inclusive presentation is a perfect way to get yourself off on the right foot for the rest of the conference by identifying your passion and giving you the tools to apply that in the future. This workshops is designed to help students who are creatively inclined figure out how sculpt their passion into action for social change. Artist Julio Salgado and journalist Nia King discuss how they discovered what they are passionate about, what they are good at, and what gives them life. Each will start by speaking about their work, then open the floor up for questions. Participants will be asked to identify their own passions, strengths, and healing strategies. At the end, we will regroup to discuss ways to channel our strengths and passions into ways of creating the kind of social change we want to see in the world. "Identity manifests in the way we lead, supervise, make decisions, persuade, form relationships, and negotiate the myriad of responsibilities faced each day" (Chavez & Sanlo, 2013). Inspired by the book sharing the same title, this workshop engages participants to reflect on personal identity, values one holds, and therefore how leadership behaviors manifest. Partly informational though mainly largely interactive, this workshop asks participants to be ready to reflect, share, and contribute to the learning within the space. This workshop is a starting point for emerging leaders to understand how their personal identity informs their values and, in some cases, actions or in-action. It is the presenter’s hope that attendees will leave understanding the impetus for their passions and in what ways they can sculpt their future actions. Self-assessment is a crucial piece of discovering a leader's purpose and passion. This workshop will connect the pieces of self-assessment and self-reflection, using a strengths-based framework. Frequently leadership and professional development focus on what needs to be "fixed" or made better. Instead, the presenter will propose a strengths-based focus to help students learn more about how to leverage their strengths and develop skills that can be amplified. Based on the work of Zenger, Folkman, & Edinger (2011) and Rath (2009), this workshop will strive to show students how self-assessment and self-reflection with a context of a strengths-based approach can help them develop their leadership skills. Session 2 workshops focused on helping students recognize how connecting their individual passion with the passions of others can have a larger impact. Rather than spending countless hours alone working toward change, creating partnerships can not only be motivating but also an opportunity to having a larger impact. Discover your brightest personality traits, while appreciating the differences in the character traits of your peers. Recognize the strengths and motivations of all personality types to help you work better with others and create working relationships. This workshop helps students recognize their peers strengths and weaknesses. In doing so, they learn how to work together even if they are different, by learning to compromise. In order for us to "Sculpt Passion into Action" we have to listen. Listen to our parents, professors, mentors, and a whole host of others with valuable insight that will aid in the journey that is about to get underway. Understanding the principles of active listen and how to apply them will insure that we collect all of the necessary information needed in order to attain success. This workshop is designed to cover the basics of active listening and help students learn how to focus on not only what is being said, but what is not being said as well. Both types of messages could mean the difference between ‘just a job’ and finding our passion. Passion doesn't always have to be directly connected to a future career. Perhaps you enjoy a certain hobby or are passionate about a cause that you think is 'unrelated' to your career path. Learn more about transferable skills and how to connect and market your passion on your resume. As children, many of us learned the phrase, “if you don’t have anything nice to say, don’t say anything at all”. While this old adage has its purpose, it often fuels our discomfort with giving necessary feedback to others. What if we reframe our perspective about feedback to think of it as a skill that can impact our lives and our leadership in profound ways? As students take their purpose from imagination to action, they require the ability to generate and give feedback and to distill its value, even when it is not delivered well. Effective feedback stimulates our growth, refines our purpose and goals, improves the performance of individuals and teams, and helps us to connect and find common ground with others. In this workshop we will explore best practices for giving and receiving feedback for high-impact leadership communication. Session 3 workshops focused on helping students understand how molding a collective of individual passions can contribute to creating meaningful change. Greater impact and change occurs in the power of numbers and, by working with others of similar passion and purpose, much can be accomplished. Once you have some people behind you, you can change things. In this workshop, we'll discuss the leverage that we have as organizers over decision makers and corporations and how to use that leverage effectively. We will work through a scenario- defining the target, their self-interest, our goal, and the strategy we should use to make change happen! Creativity is a force that should be enthusiastically encouraged as a vital resource in today's every changing world. This interactive workshop will explore the power of harnessing our creativity collectively and why “right-brain” skills are increasingly necessary for students entering the 21st century economy. Participants will learn how the cultivation of imagination is the foundation for innovation. Misconceptions about creativity will be addressed including the myth that you must be artistic to be creative. Through group participation and breakout activities, the workshop will address skills and abilities that will equip students with further insight about using their own creativity individually and collectively to impact the world in meaningful ways. What are you passionate about? What gives you life? What makes your heart beat faster and makes the excitement stir in your belly? These are questions we ask ourselves and questions that others ask of us as we think about coming into our own as leaders. The next step: taking what we are passionate about, understanding it, and giving it power by turning it into action. Come to this session to begin mapping your passion(s) and learn how to sculpt them into action to create meaningful change as a leader. Participants will leave this session with their own Leadership Passion Manifesto. This workshop will help students identify a local issue that is important to them and it will teach them to work as part of a team to solve that issue. Students will learn that sometimes a team will focus on what they are passionate about, while other times the focus may be on others’ passions. When this happens, how do people continue to contribute to solving an issue as part of a team when their idea wasn't chosen? This interactive workshop where participants work as a team to identify an issue in their community/school that needs to change. Together they will decide what steps/resources are needed to create change and determine a feasible timeline. Enjoy a quiet and comfortable space for self-reflection to help you explore how your passion manifests in your life and informs your leadership. A variety of materials will be available at hands-on reflection stations to help you express your passion through creative interpretation. 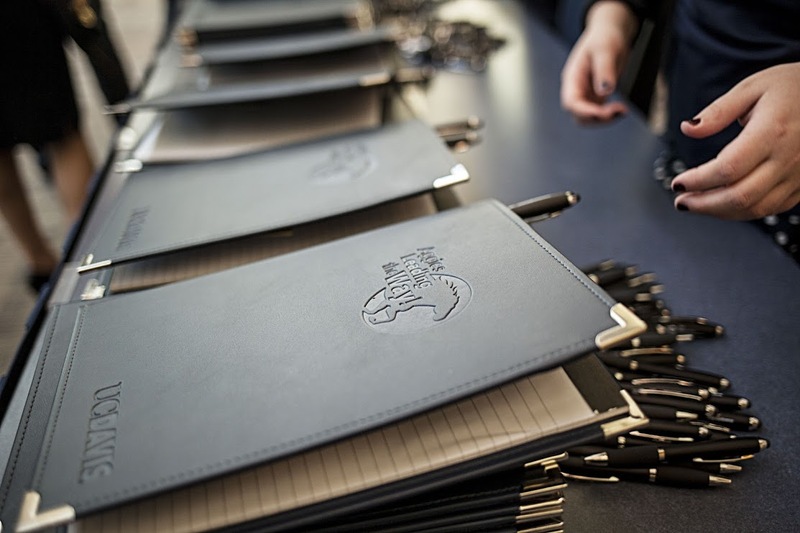 Whether it is a visual representation, written expression, or doodles, you will have the opportunity to work out your ideas and plan of action while sharing your creation with other conference attendees. There will be a facilitator in the room for guidance, but the space is really driven by you!